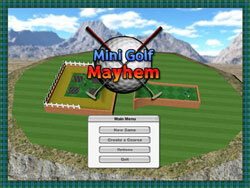 Mini Golf Mayhem, a funfilled mini golf adventure! Welcome to the crazy world of Mini Golf Mayhem. 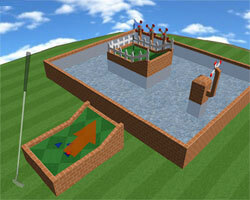 Now you and up to 8 of your friends can play the craziest mini golf game around! Pick up your putter and play your way through more than 50 unique holes!. What's so good about Mini Golf Mayhem? 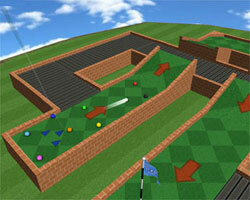 Play through over 50+ mini golf holes, spread over 5 courses. Compete against up to 9 people at once, knock everyone else's balls flying! Amazing 3D graphics, and a hyper-realistic physics engine controls ball movement. 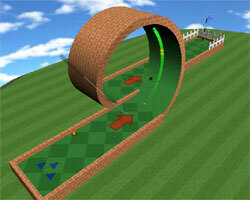 Unlock special secret holes by completing the courses on par.